‘Power is not a means; it is an end.’ – George Orwell, Nineteen Eighty Four. The date 11 September 2001 is undoubtedly identified among the global population as one of the most significant dates in modern history. 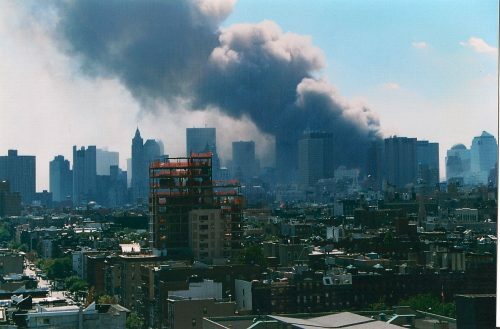 The acts of terror committed in the United States on that day continue to resonate with countless others across the world. Attacks such as those upon Paris in November 2015 and the Brussels bombings in March 2016 serve as stark reminders of the capabilities of human beings in causing harm to others. However, almost 15 years since the start of the War on Terror, public opinion and media awareness has been streamlined towards the actions committed by terrorist groups, allowing for the darker side of the international fight against terrorism to be swept mostly under the rug. From the late twentieth century to present day, the United States has conducted what is termed as ‘extraordinary rendition’. This is a process involving the transfer of foreign nationals to designated areas across the world for interrogation and detainment. These areas would be outside of the reach of United States federal law, effectively affording a legal carte blanche for officials to interrogate suspected terrorists using extreme and inhuman methodology. In 2004, Khaled El-Masri, a German-Lebanese citizen, was seized by Macedonian authorities as a terrorist suspect, and later became detained by the US Central Intelligence Agency in a detainment facility known as the ‘Salt Pit’ in Afghanistan for 4 months. He was eventually released, after the discovery that his detainment had been a mistake. In 2012, the European Court of Human Rights found the Former Yugoslav Republic of Macedonia responsible for breaches of several of El-Masri’s rights under the European Convention on Human Rights and awarded him €60,000 in compensation. However, although the Court found that the Macedonian authorities were liable, it was conceded that the ruling did not attach any liability onto the US. Cases like this show that the secrecy behind the rendition programme, coupled with the desire to preserve international relations, are the most terrifying aspects of the rendition programme. In fact, in 2005, it was estimated that El-Masri was amongst some 3,000 individuals who had been captured as part of extraordinary rendition. El-Masri is just one example of a situation gone awry—one in which a mistake led to horrific consequences. The CIA’s use of designated areas around the world for its rendition programme naturally involves the cooperation of other states. In the majority of cases, this involves some complicity from the respective authorities; said authorities effectively disregard the situation whilst suspected terrorists are detained and subjected to inhuman and degrading treatment. In December 2013, it was reported that British security and intelligence agencies had ‘turned a blind eye’ towards the work of the CIA in fear that this would damage international relations with the US. In fact, in June 2016, the Crown Prosecution Service concluded that there was insufficient evidence to bring charges against officials from the Secret Intelligence Service (more commonly known as MI6) for their alleged involvement in the rendition of a Libyan couple. The complicity of global nations in the extraordinary rendition programme only casts doubt upon the moral legitimacy of certain countermeasures used to combat terrorism. To return briefly to El-Masri, it should be noted that attempts were made at multiple levels in the US justice system to seek reparations. However, at each stage, the courts rejected the claim, either on the basis of insufficient evidence or by conceding to the US Government’s invocation of the ‘State secrets privilege’ which prevented disclosure of any information in the interest of national security. Needless to say, the national security justification has been used on countless occasions; this lack of disclosure makes it near impossible for those who have suffered under extraordinary rendition to be vindicated. In his most iconic novel Nineteen Eighty-Four, George Orwell, through the character of O’Brien, has this to say: ‘Power is not a means; it is an end. The object of torture is torture. The object of power is power.’ Although this quotation was used entirely in the context of a fictional dystopian society controlled by a totalitarian regime, some connotations could be drawn to today’s global regimes in the context of the international fight against terrorism and the extraordinary rendition programme in particular. The point is, that the ‘War on Terror’ and the fight against terrorism have to be viewed from both sides. Whilst a degree of force has been widely accepted as necessary to quell the threats that terrorism causes, it is questionable whether the use of secret detainment facilities that are outside of the reach of the law and acts amounting to torture can be similarly considered as a necessary countermeasure. After all, there is an inherent risk that the use of these methods could taint the liberal and democratic image that the majority of global society wishes to preserve for the years to come. George Orwell, Nineteen Eighty-Four (Penguin Classics, 2000), p.302.